Designing a print production workflow using Enfocus Switch Server. A very powerful and useful tool for moving print ready files around the production workflow here at a printers I am working at. 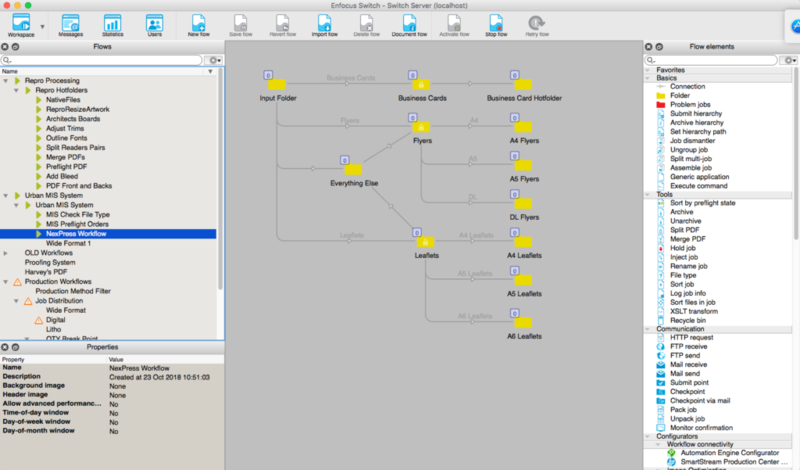 This combined with our filemaker pro MIS booking system makes this a very useful workflow production system.